lastminute.com had a long history of recommending nearby products based on mobile location, so it was a natural fit that we do the same thing in the desktop browser. 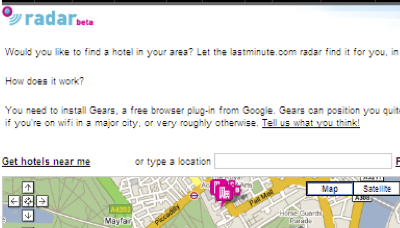 Google's Gears was an early way to do this, using wifi positioning, and we showed nearby hotels. Simple, quick, effective, and it was good to be the first ecommerce company taking advantage of browser wifi positioning.